India must re-engage private sector participants in efficiently running infra projects with sharply defined service level agreements, says Vinayak Chatterjee. It is not fashionable any more to harp on the erstwhile Planning Commission. But in the absence of any current aggregated data on overall infrastructure investments and plans, it is useful to revisit the expectation of private investment in the 12th Plan period, that is, April 2012 to March 2017. The 12th Plan envisaged private investments at 48 per cent of the total investment of Rs 56 lakh crore or Rs 56 trillion in the infrastructure sector, that is, around Rs 27 lakh crore or Rs 27 trillion. That was Rs 2.25 lakh crore or Rs 2.25 trillion every year. With rising demand, new announcements and expectations and inflation indexing, it would not be inappropriate to round off this expectation to a minimum of Rs 3 lakh crore or Rs 3 trillion per annum in the here and now. Sceptics could postulate that we are nowhere close to half the level. It is therefore imperative to have the private sector enthusiastically and energetically re-engaged in the crucial task of nation-building. Here are nine ways to go about it. Level playing field: There is near unanimity that it is a grossly unequal playing field for private capital, with the state confused and hopping (as convenient) from its role as the sovereign to that of a contracting party (or business partner in a public-private partnership). There is no other way to address this, as is repeatedly being stressed, than to have genuinely independent regulators. So, notwithstanding ministerial hunger to control turf, this is the only solution. A decent draft legislation to achieve this is ready. Its implementation rests on political will. Re-negotiation: Enough data and logic have been placed before the government, including by the likes of the World Bank, to show that re-negotiating public-private partnership (PPP) projects is not evil; it is a necessary part of the entire process. More than 50 per cent of PPP projects world over come up for re-negotiation across their lifespan. The solution lies in concession agreements that recognise the possibilities of black-swan events and consequential re-negotiation to be handled by a highly credible re-negotiation commission. Equal partner: The private sector wants to be treated as an equal partner in the infrastructure PPP game. There are clear withdrawal symptoms aggravated by an attitude historically perceived as patronising towards the involvement of the private sector - that of a lowly contractor-supplier (thekedar), who has to constantly look up to those supping at the high table for understanding and succour. For example, the committee set up to revitalise PPPs under the distinguished Vijay Kelkar, funnily, did not have a single private sector member from the engineering, consultant, developer, contractor or operator fraternity. Some quarters argue for a PPP law that gives private sector its due place. Competitive neutrality: Corporate India has been encouraged and has thus set up large and expensive capacities for manufacture of power plant equipment, transmission towers, shipyards, defence supplies et al. Then what happens? Large orders go by 'nomination' to the Bharat Heavy Electricals Ltd, Power Grid Corporation of India Ltd and the like, with not even a glance at competitive bidding or market price discovery. Reverse the build-operate-transfer model: The private sector is available not just to develop greenfield projects but also to acquire and run government-owned brownfield or existing operating assets. The transference of the Mumbai-Pune Expressway best illustrates this approach. The list of such divestible assets is long and is a useful adjunct to the disinvestment strategy. Stalled projects: The Project Management Group in the Cabinet Secretariat is already institutionally equipped to handle this on an ongoing basis. But it requires re-energising. Otherwise, Rs 20 lakh crore of stuck capital and continuing angst are unlikely to motivate the same set to vigorously respond once again to invest in nation-building. 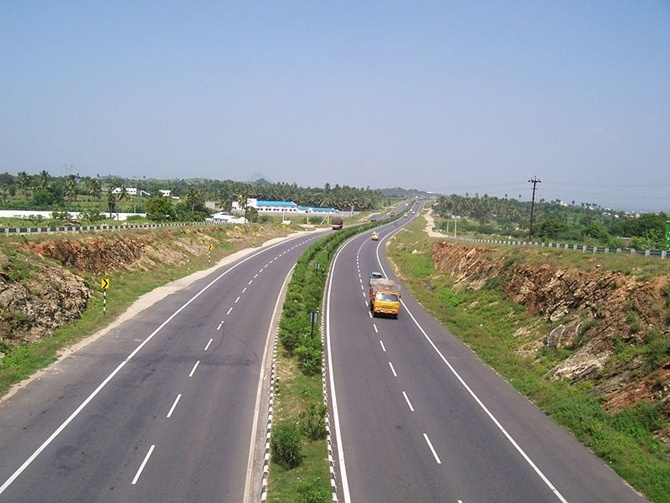 Infra-financing superstructure: A three-month default on a Rs 500,000 car loan EMI has the same non-performing asset status as a three-month default on the servicing of a loan for a Rs 15,000 crore infrastructure project with a concession period of 30 years. One can keep adding such examples. The Reserve Bank of India, along with the Securities and Exchange Board of India and the finance ministry, has a major task to create a 21st century superstructure for enabling long-term project financing across the asset life. The list of interventions ranges from creating a bond market for infra with appropriate credit enhancement measures to a favourable regime for external commercial borrowings, real estate investment trusts, infrastructure investment trusts, and debt funds. Systems such as shared national credits being advocated by the State Bank of India chairperson require a hard look. Construction industry: The construction industry, the pivot on which the infrastructure sector turns, is at its lowest in terms of morale and motivation. The critical issue is the huge amounts of liquidity stuck in disputes and arbitration with government departments, which compulsively challenge them in courts. Over Rs 1 lakh crore or Rs 1 trillion in liquidity is estimated to be stuck; it is also well-known that 95 per cent of such challenges are finally considered untenable by the courts. But the process takes years to unravel. Even as the new scaffolding for arbitration and conciliation, and allied dispute resolution mechanisms are being put in place, immediate relief is being sought through a claims takeout fund, where at least 80 per cent of the liquidity is made available immediately for pumping it back into operations. In parallel, the setting up of a high-powered claims tribunal to resolve outstanding disputes of engineering procurement and construction companies within 90 days is also being sought. The creation of a special revival fund that will resurrect construction companies by buying their high cost debt and investing equity is also worth contemplating. Operations and maintenance: The private sector is useful in efficiently running public-owned assets, too, with sharply defined service level agreements. This model is gaining currency in several mature markets and provides interesting opportunities in India, as was being contemplated for Chennai and Kolkata airports. It deserves to be pushed. The private sector is able, willing and excited to be a partner in India's development. It is waiting for its outstretched hand to be grasped.